Although this service is invaluable, it remains underutilized. Your local police department probably offers home security evaluation services for free. If they provide home security checks, a crime prevention specialist will be dispatched to inspect your residence. The survey will cover your home’s indoor and outdoor spaces and you’ll be given a summary suggesting areas for improvement. 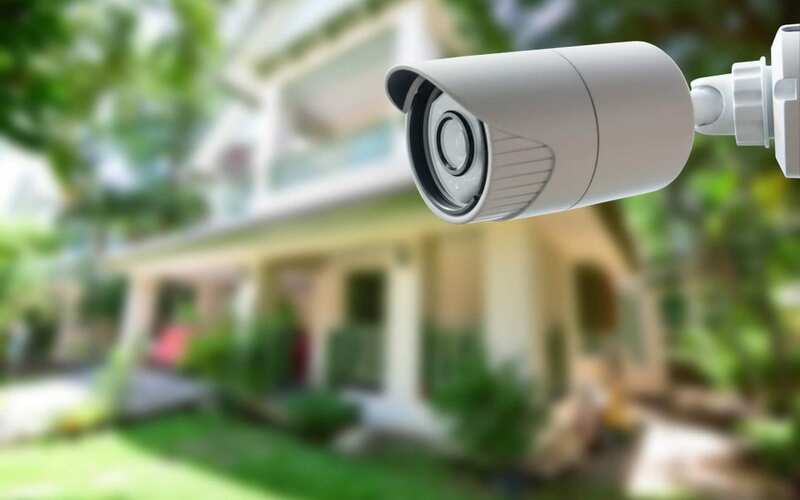 This report will help you focus on the most important security measures for your home. If your local police department does not offer this service, ask them for recommendations, suggestions, or ideas for improving home security. According to research, home alarm systems can reduce the risk of a break-in by up to 300%. Installing an alarm system is perhaps the most effective way of improving home security. Compared to their counterparts, homes with an alarm system installed are less likely to be invaded. Alarm systems come in a variety of options, with the latest models including extra features like remote activation. If you cannot afford an advanced model, go for the highest level of protection possible within your budget. Even a simple alarm can keep would-be criminals from targeting your home. In this day and age, the notion of being recorded on video can scare away all sorts of criminals, so the installation of CCTV cameras can prove helpful. Anyone who tries to break in can be identified from the video footage. Also, even a career criminal who’s not worried about hiding his identity risks triggering the siren linked to your system. Link your cameras up to a smart home app on your phone so that you can check in remotely. You’ll need a hard drive capable of holding a week’s worth of footage and night vision cameras. While the availability of suitable substitutes allows homeowners to improve their home security at a lower cost, installing outdoor and indoor fixtures is best. Additionally, visible cameras are a more effective deterrent than hidden cameras. The illumination provided by floodlights makes it much harder for criminals to find shadowed areas to hide in and keeps them from lurking outside. Along with providing a wider range of view, motion-activated floodlights are an effective deterrent because their effect is instantaneous. The lights are activated as soon as an intruder sets foot on your property, meaning trespassers will likely find themselves in the spotlight. Motion-activated floodlights help keep would-be intruders off of your property and make your home less of a target. Criminals will not target a home that makes it hard for them to sneak in and out without detection. They prefer properties with seemingly fewer defenses. Other than the tips listed above, there are several other methods for improving home security. These include trimming back overgrown bushes and shrubs, installing sturdy locks on windows and doors, leaving indoor lights on a timer if you are away, and getting a dog. Oasis Home Inspections offers home inspection services to Brevard County, Florida. Contact us to book an appointment.